Fairway Financial Advice: What is a Managed Fund? 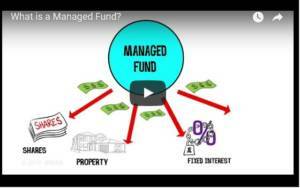 HomeFairway FinancialFairway Financial Advice: What is a Managed Fund? So, your friends have all given their opinions on the best way to invest money – some have share portfolios, others love managed funds, some are in property and no doubt some just have it “under the mattress”. But do you really understand each of these investment options and how they could benefit you? We have a series of animations, explanations and jargon busters on our Knowledge Centre. Financial Knowledge is powerful – it helps you take control of your Financial Future . Here’s a good place to start – a short clip to explain investments through Managed Funds.